There are a lot of reasons why people are starting to cook at home, what with the economy going down by the minute. Personally, cooking at home is the best thing as homemade food is healthier and a lot more affordable than instant food and those that are store bought. Cook wares are important things in the kitchen. One will use it mainly for cooking delectable dishes for dinner, parties or events. There are also many reasons why people buy cookware. It may be because they want to replace their worn out wares or buy them as a gift for someone. Whatever the reasons may be, here are some well known brands that people choose because of quality and style. Below you can find the five best cookware brands available in the market today. 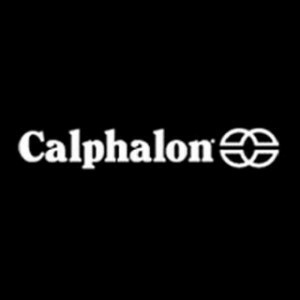 Calphalon is a famous cookware brand that not only produces great cookware but also cutlery and bake ware. They also produce appliances for the kitchen. Calphalon brand has been producing top quality wares and is a part of the Rubbermaid Company. Reviews about the cook wares from consumers, avid cooks and chefs are positive and the brand is highly recommended. The good things about this brand are they offer lifetime warranty for their cook wares and they provide outstanding customer service to their customers. 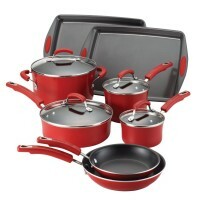 The wares are not easily tampered with and are heavy duty because of the anodized aluminum that they use and they are non-stick just like Teflon without the added chemicals. However, Calphalon’s cookware is a bit expensive for someone just looking for another cookware. 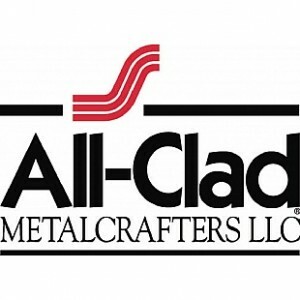 All-Clad is one of the most well known cookware brands in the world. This brand has been on the market since the 60’s and has started in Pennsylvania. All-Clad not only provides basic cookware but provides all kinds of bake ware, kitchen ware and cutlery. Famous chefs and cooks love this brand due to their amazing triple layer stainless steel kitchen and cook ware. The Emerilware brand that is in the market is also part of the huge All-Clad brand of cook wares. All-Clad features long handles that stay cool during the cooking process and the food does not change color even if you let the food stay in the pot because of the non reactive stainless steel that they use. The All-Clad ware’s exterior surface is made of 3 to 5 layers of steel that are bonded together with other metals creating a strong piece of cookware. Almost all of the All-Clad cookware are dishwasher safe and are superbly great to use. The downside of this cookware is that each piece is expensive. Le Creuset is a French brand of cookware notable known for producing excellent enameled cast iron cooking wares as well as bake ware. What really makes this brand stand out aside from having great quality products is that it comes in a variety of colors. All of the Le Creuset cookware also comes with full lifetime warranty so no matter how long you have been using it, when you have had any problems with it in the long run, you can have them returned for service or replacement. However, together with this brand being well loved by cooking professionals and cooks alike, it comes with a price. But if you are into cooking while having fun, Le Creuset’s eccentricity is the best brand of cookware for someone like you. In 1896, the Lodge brand was put up by Joseph Lodge. Since it has started, Lodge cookware has been one of the oldest brands of cookware that is being used by many notable cooking professionals and aficionados worldwide. The company sells enamel cast iron ovens as well as different kitchen wares, bakeware and cookware. They specialize in cast iron products. Many cooks claim that this brand is the affordable version of Le Creuset but with the same quality. 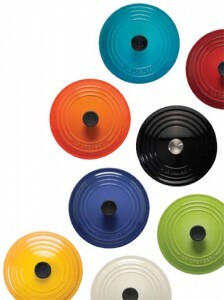 While Le Creuset offers lifetime warranty for their products, Lodge offers only limited warranty. While this is the case, many still use this brand because of the quality it offers but with lesser price tag. 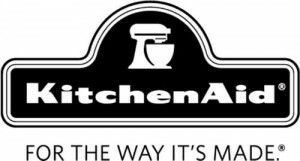 Kitchenaid is a brand that is most famous for their remarkable and top quality mixers. They also offer different products and kitchenware as well as cookware and bake ware for every aspiring or already professional cook. Their cookware is made only of hard-anodized aluminum that makes it highly durable as well as good looking in matte finish. The cookware is known for the amazing heat distribution. The pots have stainless steel handles and strong yet comfortable silicon grips. If you are into cooking and would want to use cookware every day, Kitchenaid’s cookware set is a great choice. Tefal is a French cookware and small appliance manufacturer owned by Groupe SEB. Its name is a portmanteau of the words TEFlon and ALuminium. The company is known for creating the non-stick cookware category. In some countries like the United States, Tefal is also marketed as T-Fal. DuPont insisted on the name change since Tefal was too similar to their product name of Teflon. Paula Ann Hiers Deen (born January 19, 1947) is an American celebrity chef and cooking show television host. Deen resides in Savannah, Georgia, where she owns and operates The Lady & Sons restaurant with her sons, Jamie and Bobby Deen. She has published fourteen cookbooks. Though married in 2004 to Michael Groover, she uses the surname Deen, from her first marriage. Julia Child let people in on the Cuisinart secret and so did James Beard. They were among the first culinary experts to hail the food processor as a revolutionary kitchen appliance when it was introduced to America in 1973 by the late Cuisinart founder, Carl Sontheimer. They saw the food processor as a quick and easy way to make fine food and healthy dishes. Under management from Conair Corporation since 1989, the legacy is alive and well. Today, Cuisinart is a universally recognized name, endorsed by culinary connoisseurs such as Jacques Pépin and Hubert Keller. Circulon is a revolutionary brand that continues to expand the boundaries of the kitchen through over 25 years of culinary innovations. Introduced in 1985 as the first hard-anodized nonstick cookware, Circulon is an industry pioneer, engineering trusted cooking solutions imbued with the cornerstones of quality, innovation, and superior nonstick performance tailored to fit the needs of the 21st century home chef. Circulon promotes a healthy lifestyle by delivering high performance food release without the need for oils and fats, while its patented system of raised circles enhance nonstick durability. In addition, this unique cooking surface protects three layers of top quality DuPont Autograph® nonstick by reducing surface abrasion from cooking utensils, guaranteeing long lasting nonstick that won’t scratch, stain or chip. Emeril John Lagasse (born October 15, 1959) is an American celebrity chef, restaurateur, television personality, and cookbook author. A regional James Beard Award winner, he is perhaps most notable for his Food Network shows Emeril Live and Essence of Emeril as well ascatchphrases such as “Kick it up a notch!” and “Bam!” The “Emeril Empire” of media, products and restaurants generates an estimated US$150 million annually in revenue. By now, these brands built good reputation for it’s superior quality, many awarded “Top Rated” in online store,become leading “Best-seller” brand.